The 4004931441 earthquake trace is marked with a white oval. The 4004931441 earthquake trace is marked with a white arrow. 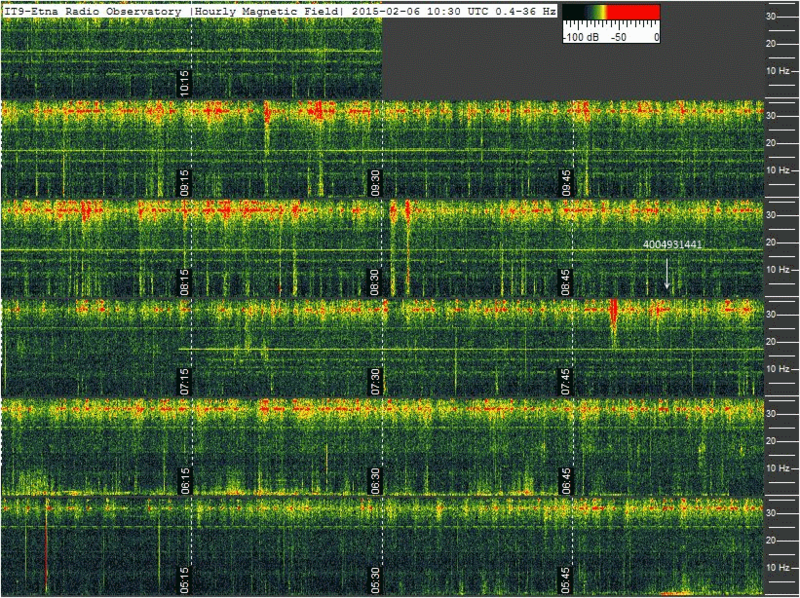 No magnetic anomaly detected first or during the event. 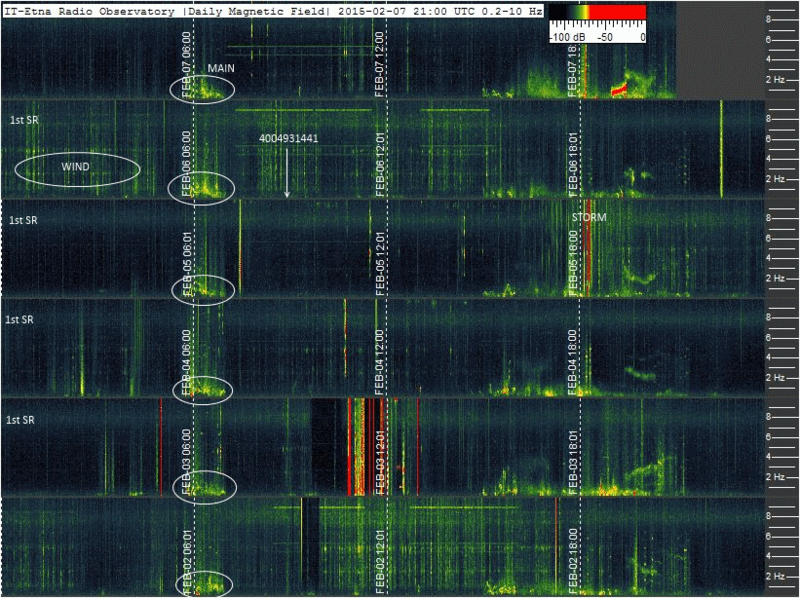 Schumann resonances faintly visible because of the wind that shakes the system. Event 4004931441 marked with white arrow. No magnetic anomaly detected coinciding with the event. 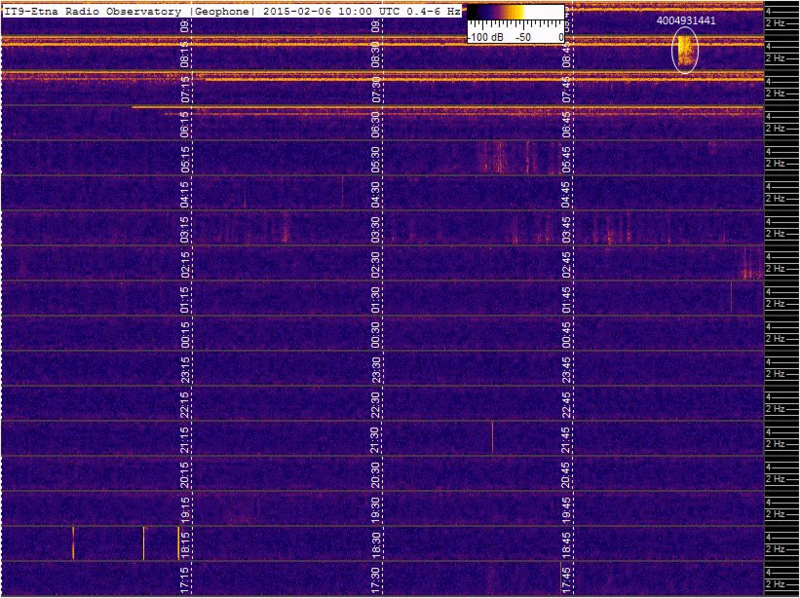 Wind shaking, noise from main: daily routine. Event 4004931441 marked with white arrow. 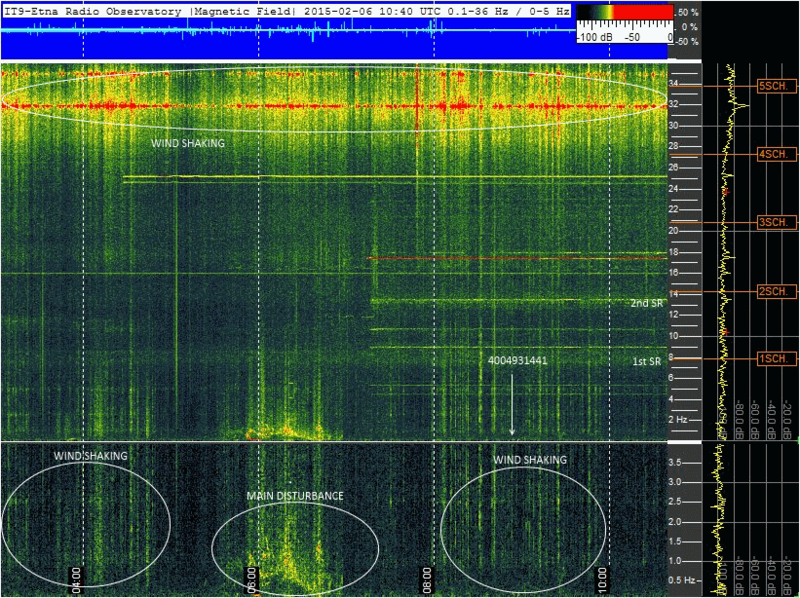 First Schumann resonances marked on left side. Main disturbance in the white ovals. No magnetic anomaly detected coinciding with the event or before.